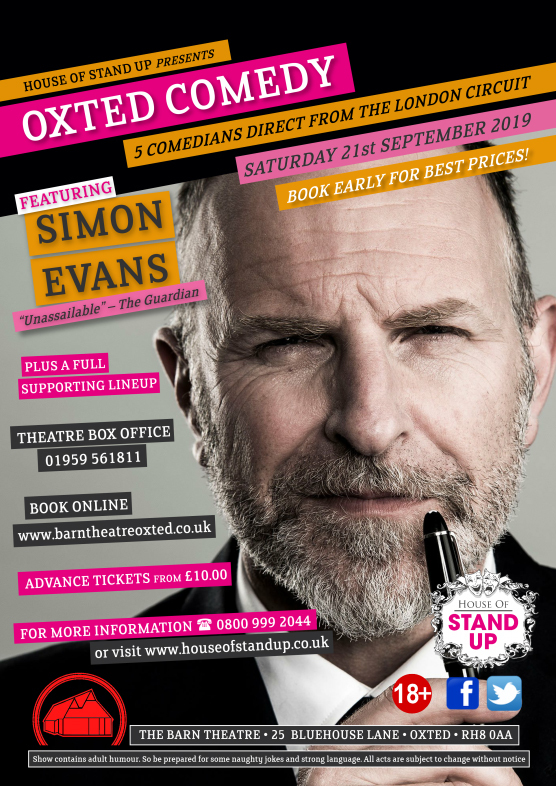 Simon Evans is one of the most exciting and distinctive talents to emerge on the comedy circuit in recent years. He is a familiar voice on BBC Radio 4 as a regular on The News Quiz, The Unbelievable Truth and Armando Ianucci's Charm Offensive. 'Absolutely brilliant' according to Caroline Aherne, and he has justified the tag, regularly selling out shows in Edinburgh and racking up Tv and radio credits. Plus, he dresses smartly and uses no bad language whatsoever!